We’re fairly certain this is a universal truth: women are impressed by other women who wear awesome jewellery. Does said jewellery need to be expensive? We think not! It simply needs to be unique, on-trend, or some combination of the two. Jewellery pictured on Look De Pernille: Pandora (choker); Marlene Juhl Jorgensen (diamond crescent); Orit Elhanati (gold tag); Jane Konig (long rose gold chain). Welcome to the next generation of statement earrings: they make a huge impact sans any of the usual suspects, a.k.a. bright gemstones and heavy crystals. Opals are the gemstone du jour. It’s official: Delfina Delettrez is the patron saint of out-of-the-box, surreal jewellery. This cuff is the definition of sleek. File this under utterly cool: a cuff adorned with a giant brass bauble in a gemstone shape. Have you checked out Dannijo’s new lower-priced collection? It contains a ton of must-have pieces like these edgy stunners. Open rings and black diamonds are officially in, making this ring a standout pick. These earrings prove that porcelain and amethyst are a winning combination. Mismatched earrings: all the cool kids are doing it. We can picture this modern, dainty necklace on Ashley Olsen. We’re stashing our hoops in favour of these quill drop earrings. For the individualist, these unique earrings are sure to turn a head. A square black diamond plus a unique arched shape? Colour us enamoured. No jewellery roundup would be complete without one of Pamela Love’s signature edgy-meets-tribal pieces. These earrings hit on two major trends: a front-back design and pearls. A little tip we’ve learned from bombshell extraordinaire, Rosie Huntington-Whiteley: a very delicate lariat necklace like this one looks quite alluring tucked into your décolletage. Is it a tiny sculpture or a ring? Either way, we’re on board. 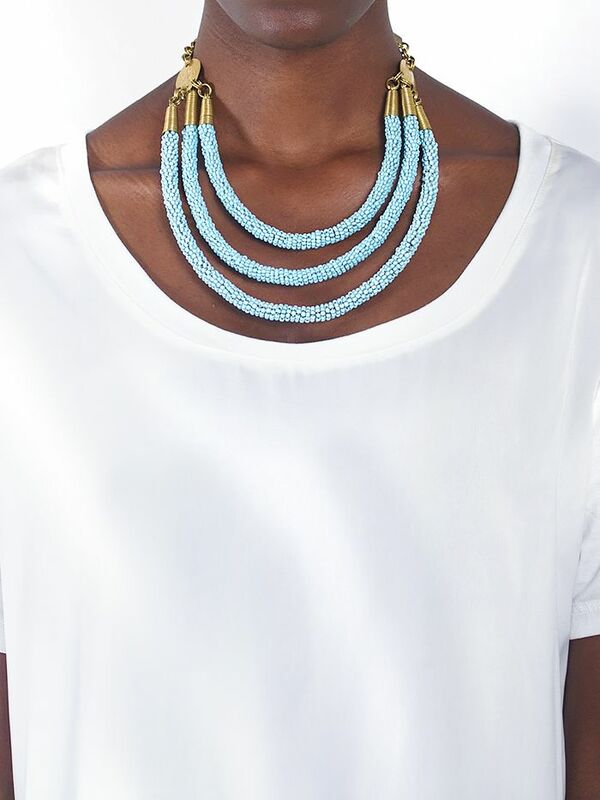 Sure, bright crystal necklaces have made the rounds in the past few years, but the colour combination on this version feels fresh and playful. 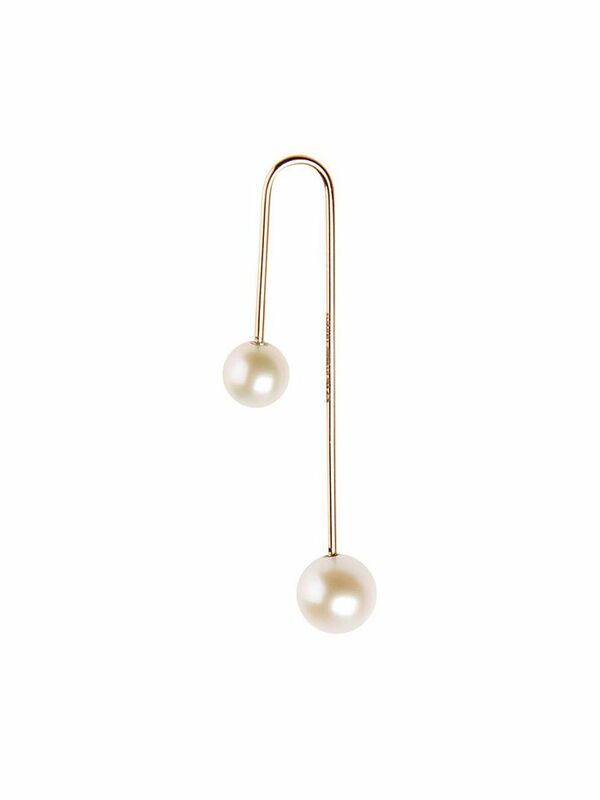 Pair this fancy front-back earring with a single pearl stud for an appealing mismatched effect. As fans of Vita Fede’s cult spike bracelets, we’re not surprised a necklace version of the style is equally pleasing. 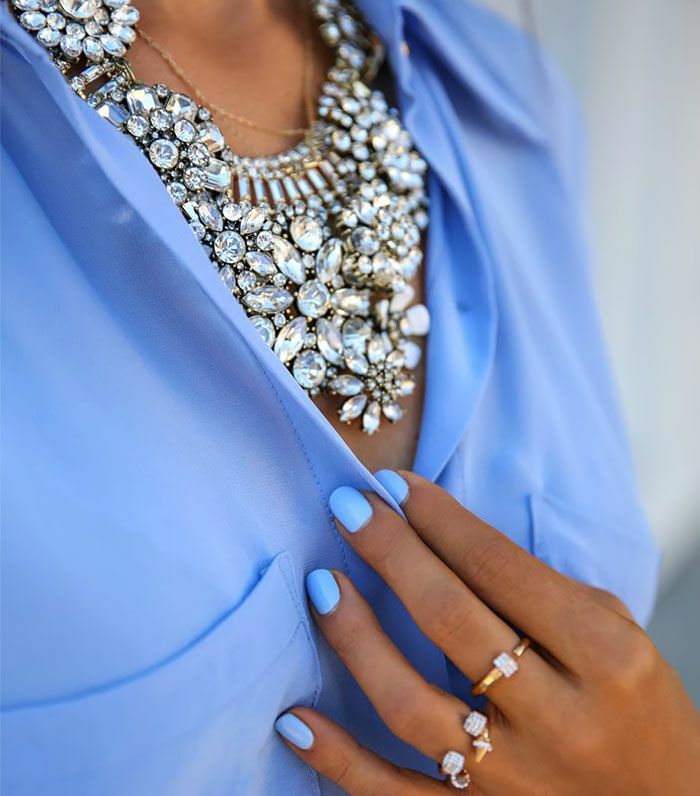 Which piece of jewellery do you never take off? Sound off in the comments below!